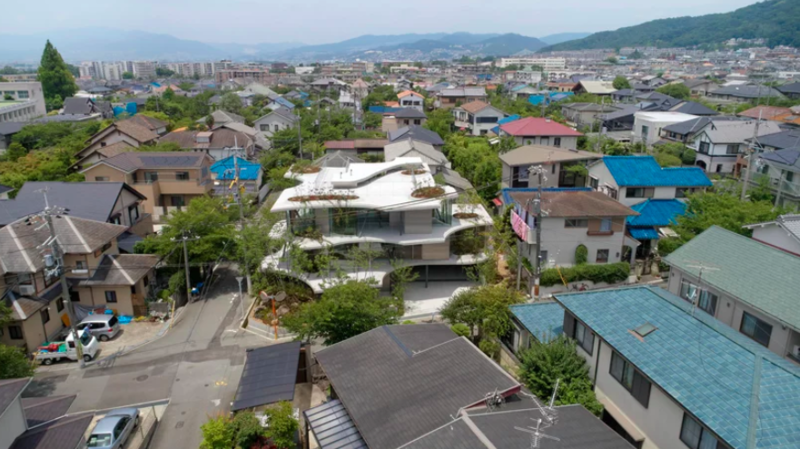 When cities are so dense and plots of land so small it seems like you don’t have room for a yard, maybe it’s time to reconsider what a yard can look like. 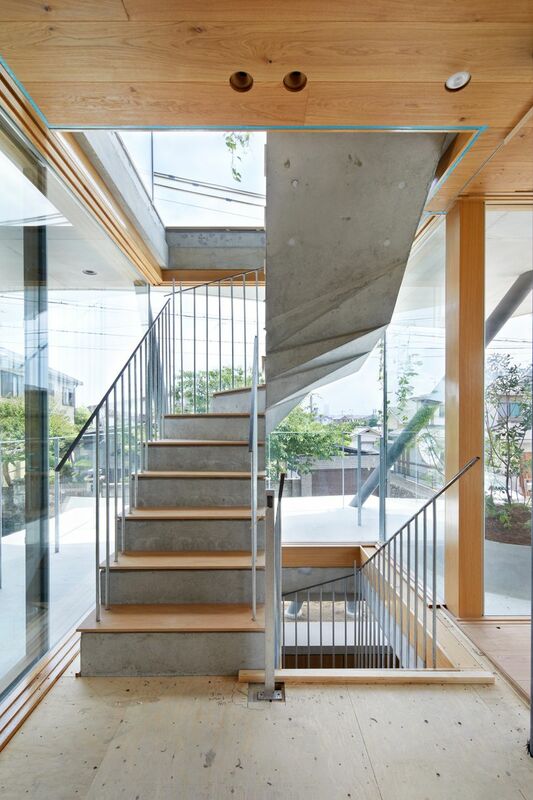 Presented with the challenge of designing a sunny and spacious residence in a cramped Osaka neighborhood, Japanese firm Tomohiro Hata Architect and Associates went back in time for a solution, imagining what the area looked like before it was developed and aiming to reinvent it for this new purpose. The architects looked to the nearby mountains and imagined the lush vegetation that once would have flowed down from them into the valleys, using this image as the genesis of their “micro-topography” concept. 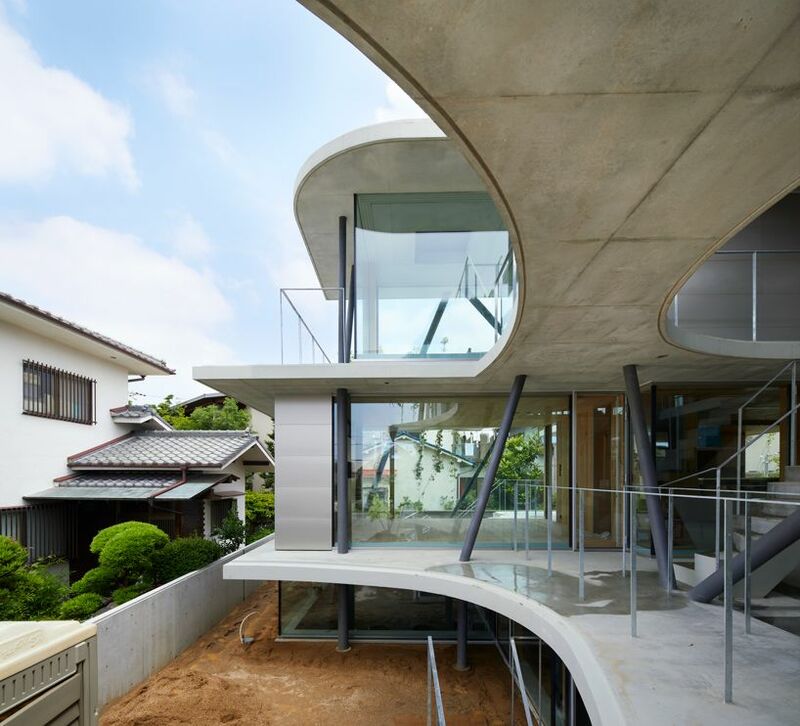 A series of stacked concrete slabs echoes the stratification of the Earth while providing airy open platforms that support a range of ordinary domestic functions and interplay with nature. 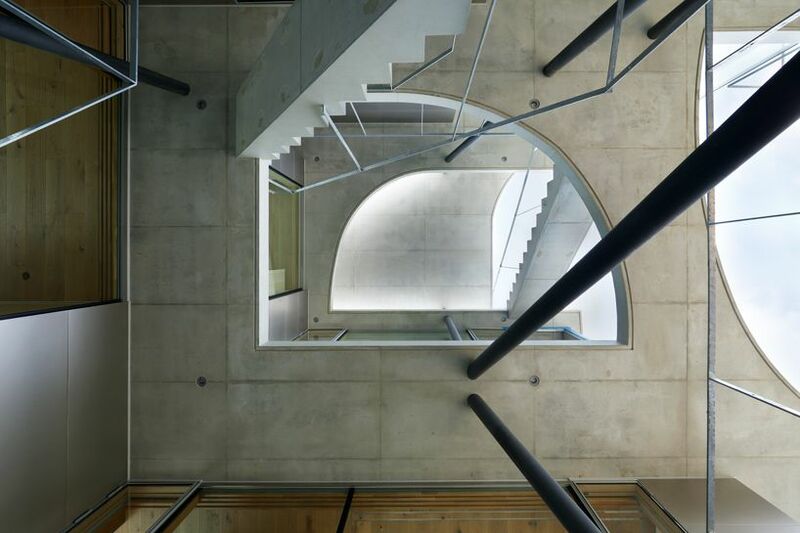 “The stacked ground layer overlaps as ‘sky topography’ when looking up, and changes the quality of the lower space,” says the firm. 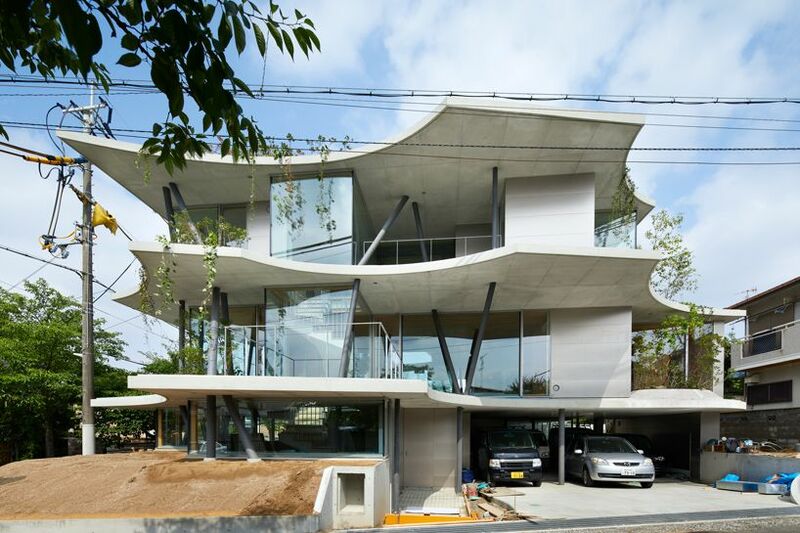 After consulting with structural specialists, they decided that a structure of three-dimensional branches mimicking those of trees could support the layers and add to the organic feel of the house. 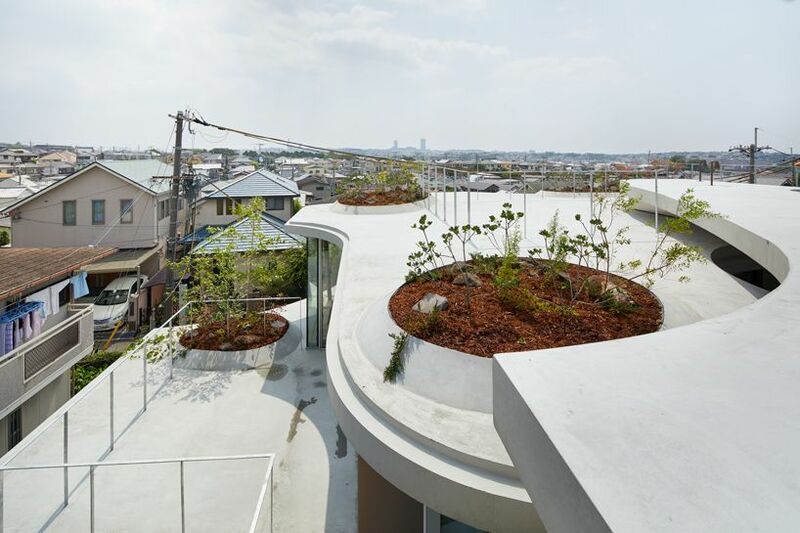 This stratified layout produces a series of covered and open spaces and allows for small gardens to be incorporated into all three levels of the home, as well as the roof. 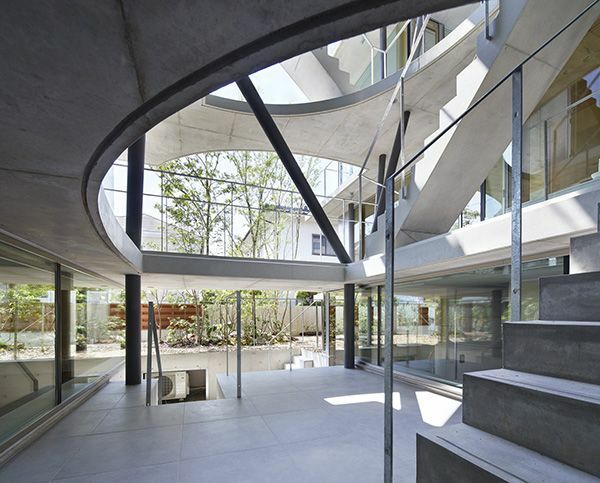 Each layer is porous and permeable to the circulation of both air and the movement of its inhabitants, full of ramps, terraces and staircases that create meandering paths from the bottom to the top and back again. 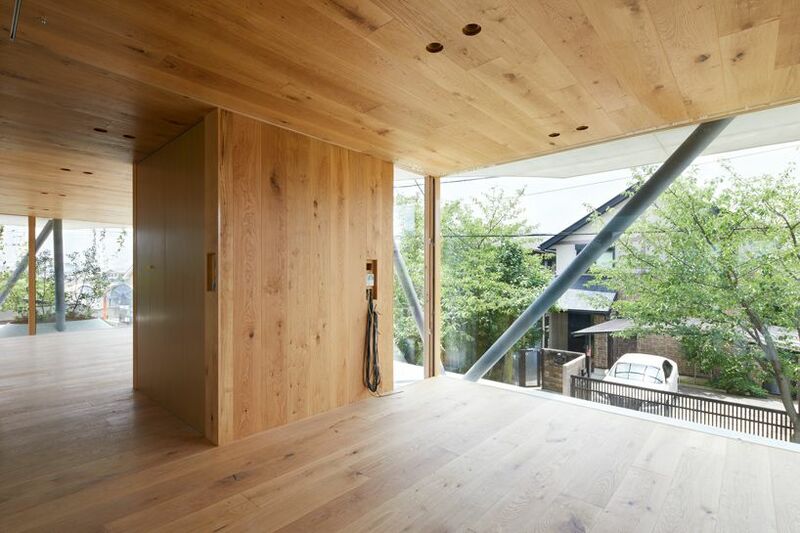 Indoor spaces are enclosed with glass, with private areas lined in warm wood paneling.